Once again, I’m delighted at the range of delicious frozen treats that May’s Bloggers Scream For Ice Cream participants submitted to the challenge; such wonderfully varied responses to the theme of chocolate. 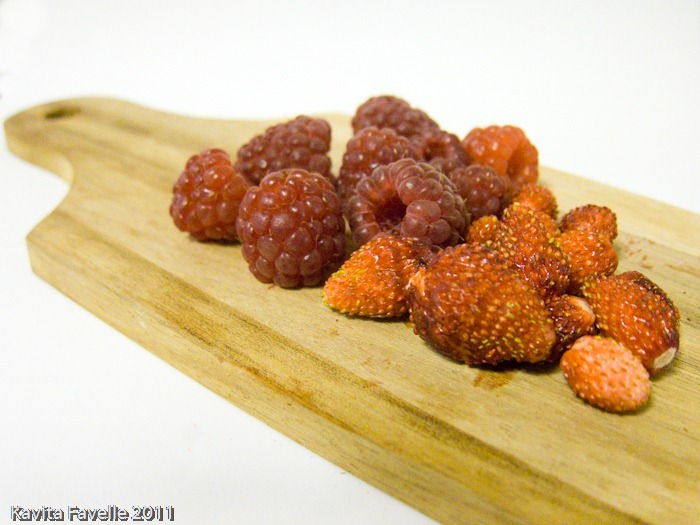 So I’m hoping for similarly mouth-watering creative ideas for this month’s challenge: FRUIT! As always, you don’t have to restrict yourself to a straight ice cream – BSFIC welcomes sorbet, frozen yoghurt, semifreddo, ice cream cakes, lollies, gelato, spoom, kulfi… you get the idea! For those looking for some inspiration, do check out my Pinterest board full of frozen delights. And great news – Philips have kindly offered Kavey Eats a prize for the best post entered into June’s BSFIC challenge. The Philips Aluminium H1861/00 Juicer has a powerful 700 watt motor, multiple speed settings (for soft or harder fruit and veg), an XL feeding tube, a 2 litre pulp container and a 1.25 litre juice jug. I think the anodised aluminium finish is rather fetching too. Oh and removable parts are dishwasher proof. The RRP is £102 but it’s currently available on Amazon for £78.90. Just think of all the sorbets and real fruit ice lollies you’ll be able to make with this beauty to help?! 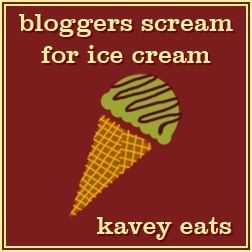 If you tweet about your post using #bloggersscreamforicecream, I’ll retweet any I see. Valid entry into the June BSFIC (as above) will be considered entry into the competition for the Philips juicer. The deadline for entries is midnight GMT 28th June 2012. I will select my favourite entry from those submitted. I’ll be looking for an entry that meets the challenge theme, a recipe that makes me salivate, easy-to-follow recipe instructions and a post that is attractively presented, well-writtten and entertaining or informative to read. 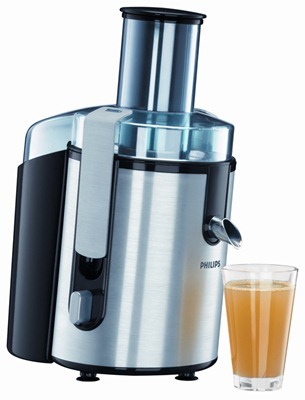 The prize is a Philips Aluminium H1861/00 Juicer and includes delivery to a UK mainland address only. The prize is offered directly by Philips UK. The winner will be notified by email. If no response is received within 14 days of notification, the prize will be forfeit and a new winner will be picked and contacted. 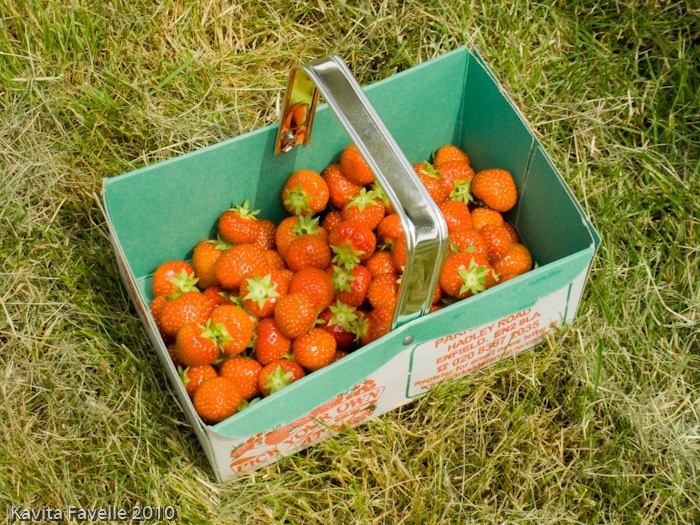 May hasn’t been as sunny as we might have hoped, but I’m keeping my fingers crossed for June and for bountiful harvests of luscious fruit. Strawberries and cream ice cream, anyone? 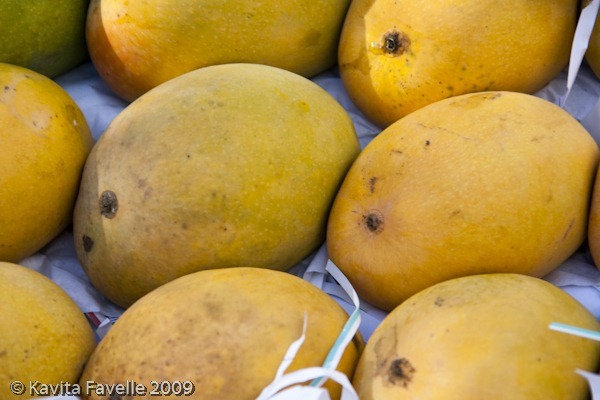 21 Comments to "June BSFIC: Fruit! + Competition Prize For Best Post"
Oh My GOD that juicer is MINE!!!!!!!!!!!! !… so funny cos when I first looked at the pic of the mango’s I thought they were baked potatoes and my first reaction was.. ‘what IS she doing…?’… I have a wonderful lemon sherbet cream icecream recipe I need to dig out! Oh fruit how lovely, normally when I read the theme I immediately think “so and so”. This month, there’s too much choice, luckily I have plenty of time to decide LOL. LOL @ Dom’s baked potato ice cream! Perhaps you should save that idea up in case one month the theme is veggies! Perhaps I’ll finally get round to dusting off my icecream machine this month. I have just been drooling over the chocolate round up – I had so intended to enter! They all looked great! Now I’m going to have to get creative – I want that juicer! Wow, that’s impressive. I want to make more of the triple mint choc chip I did last month, as I finished it just a few days ago, but thinking I should do my own June BSFIC entry first!! Perfect month for fruit, just need to choose one now! Oh, I would love to enter this month but just haven’t had time after my holiday in Barcelona. Boo 🙁 Please put another prize up for an ice cream challenge soon – I’d love to get involved! There’s a prize lined up for August’s challenge! Oh blast. I just don’t think I’ll be able to get a recipe in for this month. In fact, my ice cream maker is still in the car from Cornwall. Better get that bad boy in the freezer. Count me in for July!